If you’re like most email marketers, then you scratch your head - constantly - over the mysteries and challenges of sending to Gmail subscribers (and staying out of the junk folder). Google has been one of the most inventive email providers over the last year, with cached images, the Promotion Tab, and the forthcoming Pinterest-style email thumbnails. Here are some insights and tips for you to consider. With Gmail now as much as 20-30% of a client’s list (and its growing use on Android phones as well), we all need to get a grip on Gmail - and how to potentially develop a specific strategy toward that audience. We have spent months with clients working on content and delivery strategies in order to build healthier engagement rates, and improve overall deliverability. It’s a tough road, and requires some time and care - as Google has proven to be one of the most aggressive foes of permission-based marketers. They essentially decide to either flag your emails as spam, or even outright block them and never appear in anyone’s inbox if you don’t take special care of your gmail list and use best-practices. The first and most obvious strategy is this; you must have a pure opted-in list AND an excellent content strategy. Google, more than any other ISP, measures “engagement” (opens, clicks, forwards, replies) within your emails, and then compares that to complaints/ this-is-spam clicks, bounces, spam-traps, and email authentication. It’s also obvious that Gmail uses a strategy that we refer to as “fingerprinting”. All of these things - including the actual content, words, and images (such as heavy image-to-text ratios or common spam-oriented words and offers) are used to create an overall picture/reputation of your from-address and IP address. Frankly, all of these factors (and many that I’m leaving out of this conversation for now) are simply too much for most marketers to deal with. They’re complicated and frustrating - especially when you are CONFIDENT that your audience has requested and wants your content. But, then there’s the other side of the coin - when you DO get your act together with regards to list-quality, excellent content, and good email best-practices, Google will reward you with excellent deliverability and placement. First, if you don’t have great content that people want to read and share, then even these strategies won’t work. Scour your subscriber tracker data and find ONLY the people who have opened and/or clicked your emails from Gmail in the prior 90 days, and label them as ACTIVE. Put the rest into two buckets; those who have opened prior to the last 90 days and label them MEDIUM, and then group those who have NEVER opened and label them INACTIVE. ONLY send to ACTIVE people for the next 30-60 days. After the first 60 days of this program, slowly insert 5% of the MEDIUM in every 30 days. Every 60 days add in 5% of the INACTIVE list. Be sure to create a “segment” in your lists to keep these MEDIUM and INACTIVE users that you add back into your sends so that you can measure how many of them begin opening and clicking. If any of them remain unresponsive after 60 days of being added back in, remove them and set them aside in a group called DEAD. From time to time (and only once to any specific subscriber), send a “Reactivate Campaign” to the DEAD list, asking them something like, “We miss you! We’d love to continue to share interesting content and offers (some of our most popular are listed below), but if you would prefer to be removed from our lists, click here.” A real in-your-face subject line can often really work. For those that don’t respond to this campaign within two weeks (which will be most of them), we recommend that you simply unsubscribe them. Either way, it’s a great thing to either/both get these DEAD folks to either get off your list, or reactivate them. Everybody wins. The one caveat to this approach are for those businesses that are definitively seasonal or whose subscribers have only a very periodic “in the market” buying cycle, such as automotive (where you buy a new car every couple years). You’ll have to make some business choices to reconcile whether you are removing truly dead versus dormant email addresses. Note: To simplify the above process, we've built functionality within TailoredMail to handle this scenario automatically for clients. What we’ve found with the approach above is hopefully obvious; your engagement “rates” go up and Gmail starts to reward you for this by letting more and more of your emails get through to the inbox. 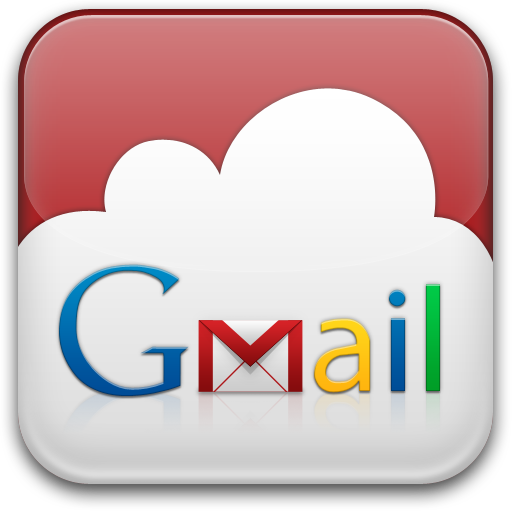 We’ve been able to successfully take clients from 1-2% open rates in Gmail to more than 20-25% in a matter of 3-6 months. However, without focused and tight controls on the purity of your ACTIVE list you will simply revert back to the spam folder. We see clients that get NOTHING delivered to the inbox if they don’t use proper care and respect of their subscriber base. The same is true with virtually all other ISP’s, it's just that they are not quite as aggressive as Google.